AshleyNewell.me: Join Me on Facebook! Hi friends! I hope you are having an amazing weekend! We don't have a TON of plans this weekend but I'm really looking forward to dinner tomorrow night with my friends. It's been a very challenging week and I really could use a nice kick off to next week. 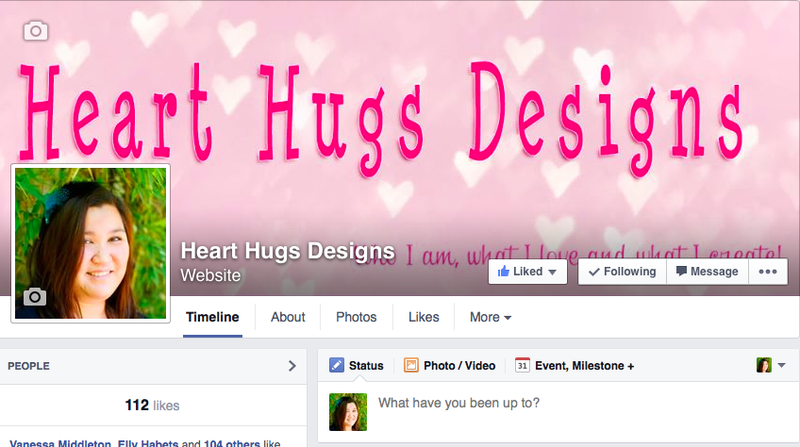 In other news, I've created a Heart Hugs Designs Facebook Page. This will be a page where I post questions and ask for suggestions. There will be chatting and giveaways. It's just another place where I can connect with my friends and talk about crafty, mommy, or other fun things. I'm sure my non-crafty Facebook friends are tired of hearing me go on and on about stamping. I hope you'll join me over there! I will be doing a giveaway when I get to 200 likes!